I was in this food centre on a Monday and about 75% of the stalls were closed on that day. I was just walking around and this stall caught my attention. 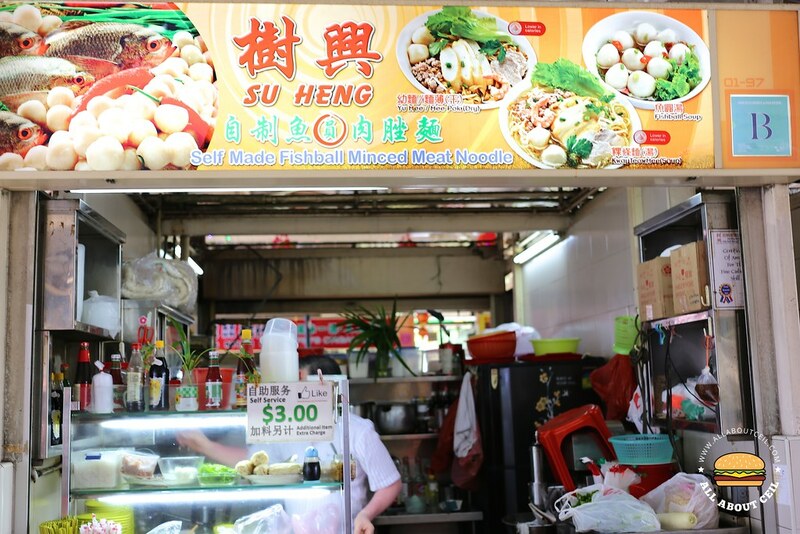 This stall was manned by an elderly Uncle all by himself. 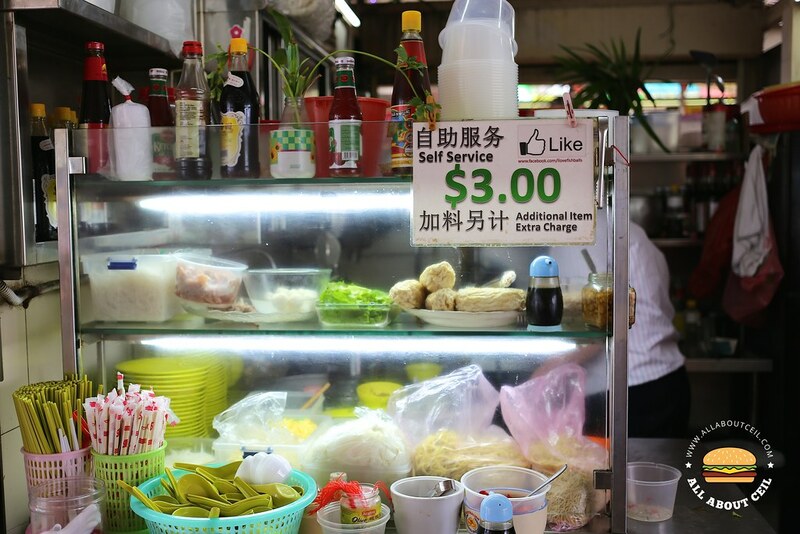 I was the only customer at that time and I decided to go with dry Kway Teow that costs $3.00 per bowl, this seems to be the only size that is available and there will be an additional charge for extra item added as stated. 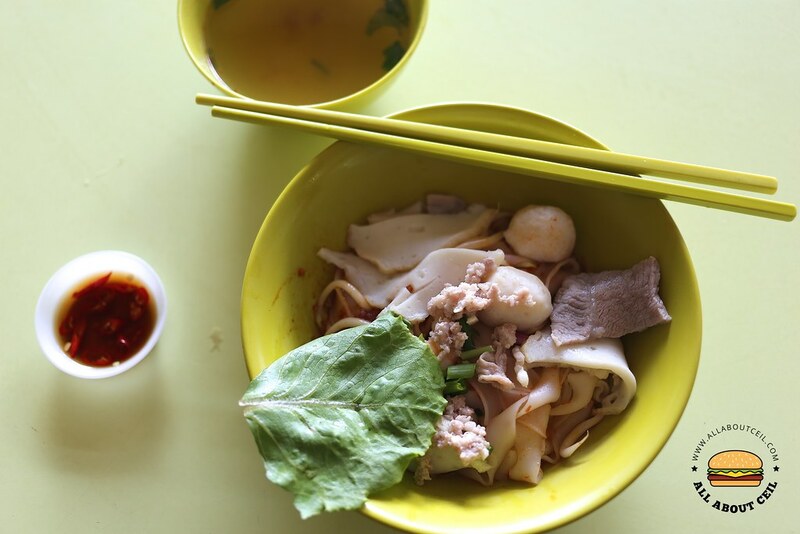 It was ready in just a bit, a bowl of simple looking kway teow with a handful of minced meat, slices of fish cake and lean meat, 2 pieces of fishballs together with bean sprouts and some green, was served. And just like how it looked, it tasted simple. Though an extra amount of chilli was added but its level of spiciness was quite mild. 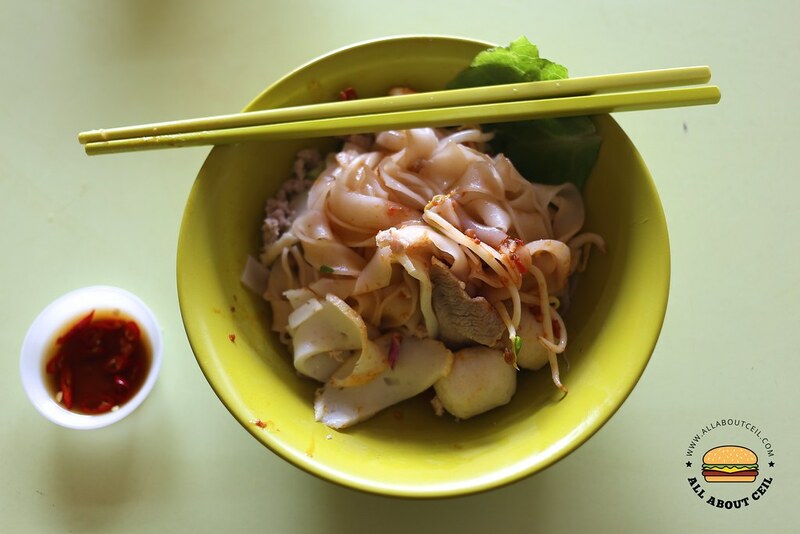 The kway teow was cooked just right and still tasted firm after tossed it with the sauce mix. It was a nice simple lunch.